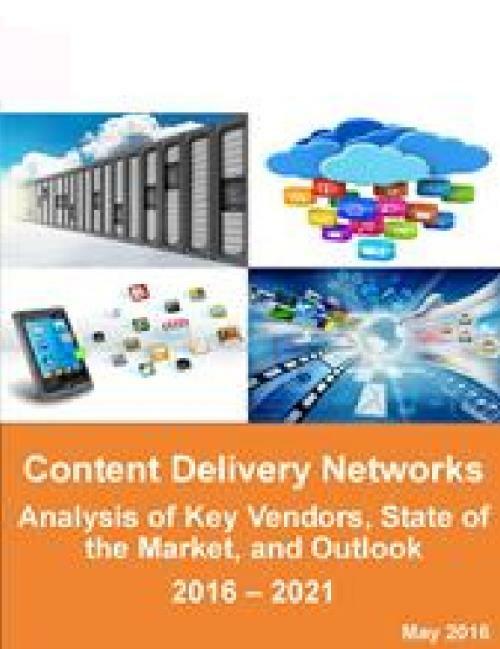 Next generation applications, content, and commerce offerings are driving the need for flexible and cost effective Content Delivery Network (CDN) solutions, which core services such as aggregation, management, and distribution of content as well as a variety of value-added functionality. The market need for CDN solutions correlates directly with the explosion of broadband networks, smart mobile phones, and related applications, services and content. In particular, the convergence of cellular networks supported by 4G/LTE broadband wireless, and Cloud-based applications, facilitates the need for more intelligent content solutions. This research evaluates the current state of the market for content, CDN providers, and solutions. This report evaluates the CDN marketplace, provides forecasting for CDN growth and growth drivers, and a SWOT analysis for major vendors. In addition, we evaluate related areas including Datacenter Storage and Software Defined Security (SDS). This report includes forecasts for 2016 – 2021 for CDN, Datacenter Storage, and SDS. 4.10 Level 3 Communications Inc. Figure 4: CDN Procedures to Retrieve Data. - Level 3 Communications Inc.